This is one of Prepaid Phone News' series of comprehensive US prepaid mobile operator profiles. These profiles cover all the major US mobile operators' prepaid plans as well as MVNOs which offer a good value. Overview: Ultra Mobile is a T-Mobile MVNO which launched in October 2012. Ultra offers very competitively priced monthly plans that are especially attractive to users who call or text internationally. All Ultra plans include no extra cost international texting and a variety of free and low-cost international calling options. Ultra has an estimated 750,000 subscribers as of February, 2018. Technology: GSM on the 1900 Mhz band with GPRS, Edge and HSPA+ data support. LTE service uses bands 4 (primary), 12 and 2. Plans: Ultra Mobile offers the following monthly prepaid plans. $19 plan users get unlimited throttled data after the initial 100 MB of high speed data is used. $49 plan users get their fourth month free. Ultra also offers an Ultra Flex multi-month plan. It includes unlimited domestic calls, unlimited international text, unlimited international calls to 10 countries and 250 MB of rollover LTE data per month. It's priced at $22 for one month, $35 for two months, $45 for three months and $50 for four months. Five of more months are $12.50 each. Family plan: Ultra offers an Ultra Flex Family plan that includes unlimited nationwide calls, unlimited global text, unlimited international voice to 10 destinations and 250 MB of shareable 4G LTE per line. The plan is priced at $22 for one line, $35 for two lines, $45 for three lines and $50 for four lines. Five of more lines are $12.50 each. Ultra adds government fees and taxes, including sales and use taxes and Federal Universal Service Fund Fees, on all transactions processed directly by Ultra using a credit or debit card. These taxes vary with the user's location. Ultra adds a $1 per month, per line "cost recovery fee" to plans except the Ultra Flex and Ultra Flex Family plans. Callingmart and other online PIN sellers have added this fee to the price of Ultra refills as well. Local dealers may also be required by law to charge additional sales taxes and e911 fees which vary by state and city. Ultra collects the California MTS fee from online purchases by California residents. Ultra's $19 plan includes 100 MB of high speed data. Data is cut off after the plan allotment is used. Ultra's $29 and higher plans include varying amounts of 4G LTE data followed by allotment of data at 3G speeds (believed to be approximately 512 Kbps). After 4G and 3G plan allotments used, data speeds are reduced to 128Kbps or less for the rest on the plan month, Additional UpData high-speed data packages priced at 500 MB for $5, 1 GB for $10 or 2 GB for $20 can be added to any plan. Added data expires at the end of the current plan month. VoLTE: Ultra supports VoLTE (Voice over LTE) on compatible phones. VoLTE delivers faster call connection and higher quality voice calls than legacy cellular audio. Tethering: Ultra Mobile's terms of service prohibit tethering and using your phone as a WiFi hotspot. International Rates: All plans include unlimited calling to 60 countries at no extra cost.Click here for a list of the unlimited destinations. For calls to numbers not included with a plan are charged at pay per minute rates using the $1.25 per month international call credit included with all plans. If you run out of credit you can get more by adding money to your online Ultra Wallet. The minimal amount you can add to the Ultra Wallet is $2.50. Funds added to the Ultra Wallet do not expire. The free call credit included with plans expires at the end of each plan month. International roaming: Ultra offers roaming voice and SMS in over 100 countries. Calls cost 6¢/minute in Canada and Mexico and 25¢/minute in the rest of the world. Outbound texts are 2¢/each from Canada and Mexico and 5¢/each elsewhere. Incoming texts are free in all covered countries. Data is 6¢/MB in Canada and Mexico and 20¢/MB elsewhere. Ultra Mobile plans include a one time international roaming credit of $5 to $15. The international roaming credit never expires. Additional roaming credit can be purchased in $5 increments. SMS Short Codes: Unlike some T-Mobile MVNOs, Ultra supports texts to and from non-premium 4 to 6 digit SMS short codes like those used by Twitter, Facebook, banks and information services. Coverage: Ultra Mobile uses the T-Mobile native network, which is comparable in size to Sprint's network but much smaller than AT&T or Verizon's networks. There is no off-network roaming. Coverage is available in most cities and larger towns and along most interstates, but is lacking in rural and many resort areas. Ultra Mobile's coverage map shows detailed block by block coverage. Devices: Ultra Mobile sells phones online. Phones are also available from Ultra Mobile dealers (dealer locator) or you can "bring your own device" (BYOD). SIMs: are free with plan purchase from the Ultra Mobile site. Regular and micro SIMs are available. SIMs are also available from Amazon and eBay for as little as 1¢ with free shipping. BYOD: Bring Your Own Device (BYOD) is officially supported by Ultra Mobile. You can also use any T-Mobile USA or unlocked GSM device that supports the 1900 Mhz band For LTE AWS (LTE band 4) support is required and bands 2 and 12 are recommended for best LTE speed and coverage. Ultra has detailed data setup instructions for hundreds of devices here. How to Activate: Activate online or by calling 888-777-0446. Activation is free. If you have a number from another operator that you want to port to Ultra there's a porting option on the online activation form. To port a number you will need your account number and passcode from the operator you are porting from. See Porting Your Number? How to Find Your Account Number and Password. You can top up with a PIN or a credit or debit card by calling 222 from your Ultra Mobile phone or 888-850-5977 from another phone. You can pay with cash or a credit or debit card at any Ultra Mobile dealer (dealer locator). If you create an account at services.ultra.me you can use the web site to set up auto pay, check your balance and plan expiration, switch plans, add money to your Ultra Wallet for international calls and data add-ons and top up with a credit or debit card. PIN cards or codes are available from online at a discount from callingmart.com and other online retailers. Account expiration: Plans renew every 30 days. If you do not have sufficient funds in your account to renew your service will be suspended. If you do not renew within 30 days after your account is suspended you may lose your phone number. Account Management: You can check your cash balance or available minutes and data, change plans, add PINs and make a payments using a credit or debit card at services.ultra.me (free registration required) . or by calling 222 from your Ultra Mobile phone or 888-850-5977 from another phone. You can also check your Ultra Wallet balance and expiration date of your current plan for free by sending a text to 6700 with the word BALANCE in the body of the message. Text the word Data to 6700 to see your remaining and used data. Call Records: International call records are available at services.ultra.me but records of text messages and domestic calls are not. To forward all calls to another number: Press **21*, the 10-digit number to which you wish to forward your calls, and # and SEND. For example: **21*1234567890# SEND, forwards your calls to the phone number 123-456-7890. You will receive a confirmation message. Unless you are on an unlimited plan, you will be charged for forwarded calls. To forward unanswered calls only (conditional call forwarding): Press **004* followed by the number you want calls forwarded to and # and SEND (**004*1234567890# SEND) and wait for a confirmation tone or message. Unless you are on an unlimited plan, you will be charged for forwarded calls. Text STORE followed by a space and a zipcode to 6700 to get the address, phone number and distance to the nearest Ultra Mobile dealer. Text RECHARGE plus the PIN number, i.e., RECHARGE765765465435432to 6700 add funds to your Ultra Wallet using a PIN code to pay for international calls, buy data packages or cover your plan renewals. Text BUYDATA to 6700 to purchase more high-speed data. Ultra Mobile Pros: Very competitive monthly plan pricing, international direct dialing, no extra charge international texting, unlimited international calls to selected countries included with all plans, great international rates, BYOD, call forwarding. Ultra Mobile Cons: limited T-Mobile native coverage, data add-ons overwrite plan data and expire with plan month, taxes and fees, tethering not allowed, no domestic call records. Updated 3/7/18: International data roaming now spported. I like that info about short codes is included in this operator profile. This post has a typo. Please delete it. Does unused international call credit roll over to the next month? Money you add to your Ultra Wallet for international calls rolls over and never expires. The free $1.25 to $10 per month that comes with plans doesn't roll over. It expires at the end of each plan month. Although prepaid relieves some anxiety about the provider's financial stability, it is somewhat perplexing that it is hard to find ultra mobile's address, so one can do some basic research. Fortunately, TalkforGood.com was easy to port out of but it can be difficult. Actually, even stable firms such as lycamobile.us can be painful for porting in (hopefully not out). There are no guarantees. However, it would be nice if ultra mobile provided some insight and that would provide more trust, thus, more sales. "LTE doesn't currently work with iPhones on Ultra Mobile or any other T-Mobile MVNO because iOS disables LTE on operators, including MVNOs, that aren't Apple partners"
Wow - I didn't know Apple did this. I guess I'm glad I don't have an iPhone, because this policy would really make me mad. There are lots of things to make one mad with iPhone: limited too-small "one size fits few" offerings, Jailbreaking required in order to run useful apps like Swype. "It just works" only if you straitjacket yourself to Apple's locked down app philosophy and user-hostile hardware offerings. Conditional call forwarding seems to work just fine on my Ultra mobile line. $50 for just 1gb of data seems pretty high to me, compared to other options. With the $19 plan and data add-on's you can get 1GB for $30 or 3GB for $50. Ultra Mobile Cons needs an update. Can't get too excited about this, as it has T-Mobile's "splash the contents of a shot glass on the living room floor" style coverage map, instead of the "splash the contents of a gallon paint can on the living room floor" style coverage map foundd with other major providers. Searching for any possible news at all about significant T-Mobile service expansion produces nothing but crickets. And I don't mean Cricket Wireless. It all depends where you need service. T-Mobile is pretty good in major cities, better than Sprint and almost as good AT&T and Big Red, however in the boonies is a different story. Does Ultra has a u.s. based CS or its CS just like Lyca? Just Got 1 year Unlimited talk n text for $99, includes 100M high speed data per month (none throttled). My understanding is this is a limited time offer, If you are not a Ultra Mobile user, I would call them before purchasing a SIM and signing up with them for this deal. Thinking of buying a T-Mobile wifi-enabled phone for my Ultra Mobile $19/mo plan. Will wifi-calling work with this MVNO? The WiFi Calling feature built into many T-Mobile's phones only works on T-Mobile and MetroPCS. It doesn't work on T-Mobile MVMOs including Ultra Mobile. However there are many apps you can use for WiFi calling on any operator including Google Hangouts and GrooVeIP. Wht the hell this is the worst network i have ever used, it never has any network while i am at home. And the network max is 3/5 dont try this. Been Using Ultra $19 plan with the personalized data add on of $5 for 600mb a month for about half a year now. I have the opposite experience, Plenty of coverage here in San Antonio, Tx. By personalizing my plan, I keep my initial 100mb when I'm automatically adding my 500mb every month. Most months that's enough for me, but occasionally I have added another $5 when I used it more. I.m still mad I missed out on the $99 dollar deal. The worst part is I've come to this site regularly to keep abreast of all the offers, but just randomly decided to check this profile page and saw the deal when it was too late. I truly hope if it ever comes around again Dennis might post it to the front page where I won't miss it! Thanks for posting the info. That is very useful! Looks like they have two new "data plus" plans: unlimited voice/text and 2.5GB for $44, or 1000 min voice, ulimited text, and 2GB for $34. Please note that their "UpData" is only $10/GB, a lot cheaper than most plans out there, and can be used to customize your plan in interesting ways. Also, their CS sounded like an American when I called at 9AM on a Tuesday morning (still had no idea what they were doing, though - it took an offshore person the next day to port my number in correctly). what is the short code to see my own number? Note: two asterisks follow the left parentheses and precedes the 004*. Also, the country code for the forward to number precedes the area code. The GSM standard is to use a singe * before 004. AT&T and T-Mobile recommend **. I believe that both one and two *s will work. I've updated the post to use ** to be consistent with the carriers' recommendations. The country code is optional for domestic forwarding. The country code for the US is 1 not 0, BTW. Ultra Mobile Data Plus Plans Upgraded With More Data And International Calling- They added Hong Kong to their UNLIMITED International Calling (Now 11 Countries) On both the $34 & $44 Plans,also the $44 Plan got a Data increase from 2.5GB to 4GB AND Added 20 More countries to their unlimited international calling list on International calling plans costing $29 & up. Has anyone tried forwarding to an international number. I'm planning to visit Japan & India and their customer care said they do not allow international roaming. I am planning to forward all calls to a local number in any of those countries. Is it possible? Has anyone tried it before? Wi-Fi hotspot has suddenly stopped working for my Ultra mobile $29 plan after I purchased additional data. I understand it was not allowed as per service terms and condition, but it was working earlier. Is anyone else also having this issue? okay figured out! wifi hotspot worked for me on 3G but not LTE. The $34+$1 Data Plus plan now also has unlimited talk. Might need to update the chart. Ultra Mobile, a nationwide mobile carrier, was named Inc. Magazine's Fastest Growing Private Company in America for 2015. Over the past three years, Ultra Mobile has recorded revenue growth of 100,849 percent, with 2014 gross revenue of $118.2M. 1) if you're in a contract get the hell out of it, whether its tmobile at&t verizon or sprint. I agree with everything you wrote except "Tmobile has prepaid plans but they dont allow you to use your own fancy phone." That's not true, you can use any phone that's compatible with the T-Mobile network on any T-Mobile prepaid plan. It's possible that the tmobile store im dealing with has a different policy, when I went to the store the only phones that T-Mobile were offering on the prepaid plan were kyoceras and smaller LG / samsung phones, but none of the higher tier phones like the note 4 etc. The commissioned salespeople in carrier stores will do anything to steer customers from prepaid to post paid where commissions are much higher. They will also refuse to sell phones that are in short supply to any but postpaid customers. You can buy fancy phones from many reputable sources including Amazon, Motorola, Microsoft and Apple. T-Mobile is GSM, they activate SIMs not phones and they don't have any restrictions on what phone you use your prepaid SIM in. I still have 2 months left on the 1-year $19/mo special for approx. $108, so am not in the market quite yet. I notice on their website the following Q and A. 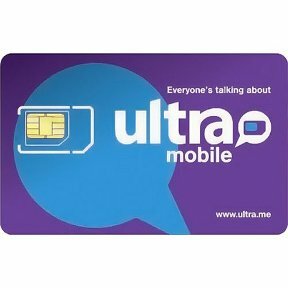 (Q) I am a current Ultra Mobile customer, can I switch into an Ultra Multi-Month plan? (A) Multi-Month plans are available to new customers only. Current Ultra Mobile customers can call 844-758-5872 if they would like to review their current plan with one of our Customer Care agents. I would be interested in seeing what they will offer to retain existing customers. just got a “thank your for your loyalty" text message from ultra mobile and it offered 1gig data to me.. I am using note 4 phone. My call waiting system doesn't work on 4G LTE please help. Hi Dennis, I have been using Ultra mobile since a couple of months now and what I noticed is that they have very very slow LTE data reception right in the downtown where T-Mobile have pretty good reception. My phone shows that it has connected to Band-12 but it still doesn't have good data reception. I checked it with unlocked phones. While doing voice call the LTE switches to HSPA or 3G. Has anyone observed this? My other unlocked phone (Moto X Pure) on RingPlus - with free plan has much much better speed in comparison. Do you know if Ultra Mobile MVNO don't actually utilize full bandwitdth of TMobile network. MVNOs get lower data priority when the network is congested but Ultra data speeds should be close to T-Mobile when the network load is normal. Band 4 will typically give the best speeds on T-Mobile. Does your phone support simultaneous LTE and voice? Not all do. Thank you Dennis for your reply. Looks like Band 12 has more problem than Band 4. Because when I am out of the building, it does get better and it switches to Band 4. Inside the building it is band 12 but drastically slow speed... almost no data. I need to check VoLTE point though. Because it does not show me the option on my phone. However, either ways voice reception is just fine, problem is only with the data. Thank you. Your website, it is very informative. Dennis, can I text 6700 with an unactivated (and unfunded) SIM card? I want to test if my AT&T phone is unlocked and don't want to pay $20 for a T-Mobile SIM card. AT&T phones are all sold locked. You can test if an AT&T phone is locked or not by putting any (active, inactive or expired) non-AT&T network based SIM in and turning the phone on. An Ultra Mobile SIM will work as well as a T-Mobile one. If the phone is locked you will get a pop up saying so. 6700 is a short code to check your account balance on Ultra Mobile. It only works with an active Ultra Mobile SIM. An unfunded inactive Ultra Mobile SIM has no account and no balance so there's nothing to check. "LTE doesn't currently work with iPhones on Ultra Mobile or any other T-Mobile MVNO because iOS disables LTE on operators, including MVNOs, that aren't Apple partners." I had Ptel, Univison Mobile and never noticed my Iphone not getting LTE. I wasn't aware of that fact. Very interesting. Apple fixed the issue of LTE not working on iPhones on non-partner carriers over a year ago. I've updated the post to remove the sentence you quoted as it is no longer true. MMS picture messages (send or receive) from iphone over cellular data DOESN'T WORK on Ultra Mobile. All MMS/data config settings have been checked and rechecked several times. Was finally told by Ultra Mobile technical support that the capability broke with one of the recent apple IOS releases. Customer support advised it's a known problem they're working on with Apple, but they had no idea of when it would be fixed! Picture messages from iphone to iphone ONLY WORK OVER WIFI. Picture messages to/from iphone and android phone DOESN'T work either over cellular data or wifi. I had t-mobile before and MMS pictures over cellular data DID work on T-Mobile. I am with another T-Mobile MVNO and my picture MMS works fine after the last 9.3.3 update. It must be an issue isolated to Ultra only. I have a samsung galaxy s4 I9515 device and i want to know if it is compatible with ultra mobile sim card? It will work but won't get LTE data only 3G and HSPA+. Haha, you're awesome! Thanks, I totally missed it. I am currently on Cricket and international SMS does not work. I am thinking switching over to either Ultra Mobile or MetroPCS and I can't decide between Ultra Mobil and Metro PCS. Any pro/con of these MVNO? TIA. Is it possible to download caller tunes from T-mobile for Ultra mobile. Hey Dennis, I am thinking of buying a T-mobile locked LG phone, would my current Ultra mobile SIM work with it in its locked state? Ultra.me does not really offer unlimited texts for their $19 plan (or any of their plans). The plan itself is barely used for voice and very limited amount of Data (well below the 100MB) offered (my kid is only using the phone on our Wifi). The only thing that the phone is used for is texts. Well today texts were no longer being sent or received. So I contacted Ultra.me support via chat. They explained that "unlimited" does not mean unlimited. It means unlimited so long that we can make money. They would not tell me what was the limit when the "System" would lock a phone from sending/receiving texts. You can still call but you no longer can send/receive texts. We have no way to figure out if our kid really texted "too much" because they could not tell us what the limited set by the "System". We argued back and forth and the only thing that came out of it is that "unlimited" is not unlimited. Ultra.me can decide to suspend your texting whenever they fell like you have "abused" the service. The texting will restart when your next payment is in action. So if you have a kid actively texting, they could be disabled after 15 days of service and have to wait another 15 days before being able to text again. You would have no way to know that you are "abusing" the "unlimited" texts because there is no prior notification from Ultra.me that you are abusing. Quite a strange business model. If you read their plans-terms-conditions document, you would never think that you could ever fall in the "abuse" section. I read again section 14 and 15 and don't see how our kid could have abuse the service. Interesting. In absence of the details you've provided, I would have guessed your kid was using an iPhone, using iMessage exclusively (with send-as-text turned off) and running out of 100MB. In your place, I would have disputed the charge with my credit card company and presented sections 14 and 15 as proof. All after porting out, of course, to preserve the phone number. Yes you can switch your SIM to a different phone. The T-Mobile network, which Ultra runs on, has two bands 1700 and 1900 Mhz. In some markets T-Mobile only has 3G on 1700. The Galaxy 3 Neo supports 1900 Mhz but not 1700 Mhz so it will only get 2G in markets where T-Mobile's 3G is on 1700. Your phone is better suited to the AT&T network as it supports both of AT&T's 3G bands 850 and 1900 Mhz. Last time I checked, my TMO market was 3g on 1900 and LTE on 1700 and 700. Unfortunately, the 700 is overloaded and all but worthless. My market shutdown 3g on 1700 in mid 2015. All of my 3g AWS devices no longer had 3g function. Can anyone tell me whether call forwarding on ultra mobile is working perfectly or not? Thanks. I've updated the post with the new url.